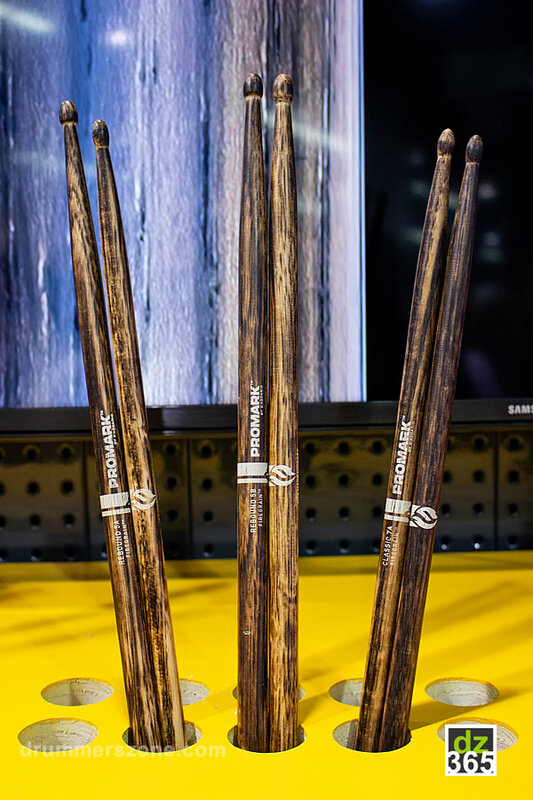 The latest new product from D'Addario's drum departements at the 2018 NAMM Show were the Promark Firegrain sticks. But we still have to consider the Firegrain sticks as a 2017 product since they came out in June last year. 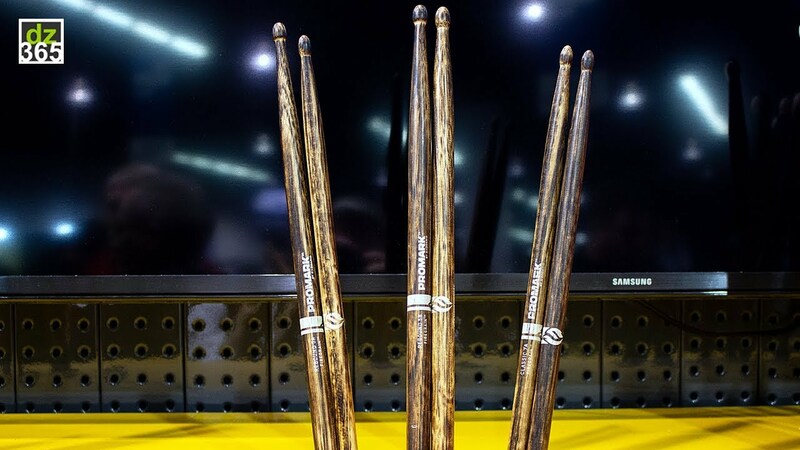 The ActiveGrip sticks were launched in 2016, just like Evans' UV1 drumheads. New with Evans though, are the UV Bass Heads. 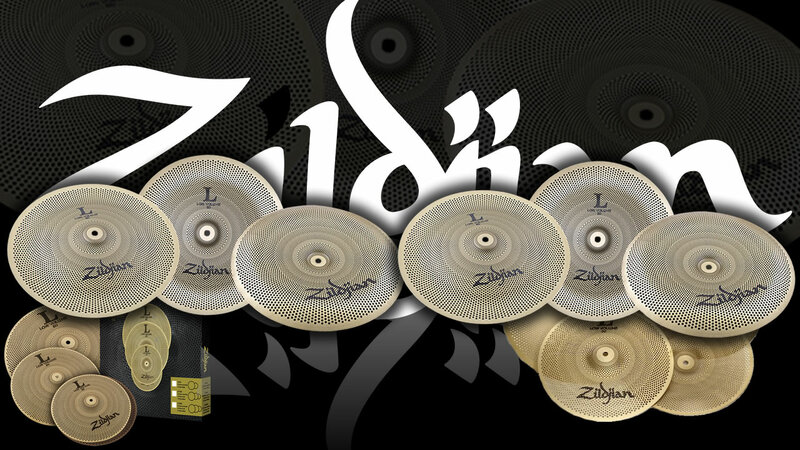 Besides the regular drumheads, now there are also versions available in the EQ-4 and Emad series. 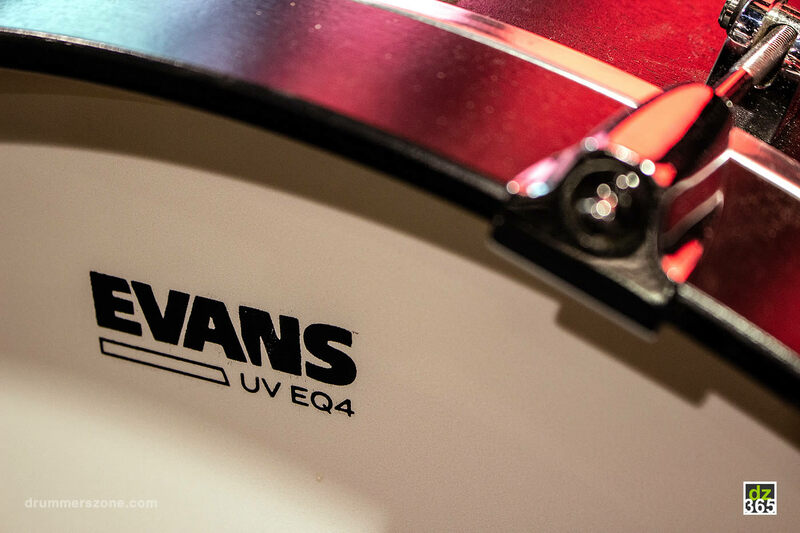 In 2016 Evans introduced the UV-1 drumheads featuring their patented UV cured coating. 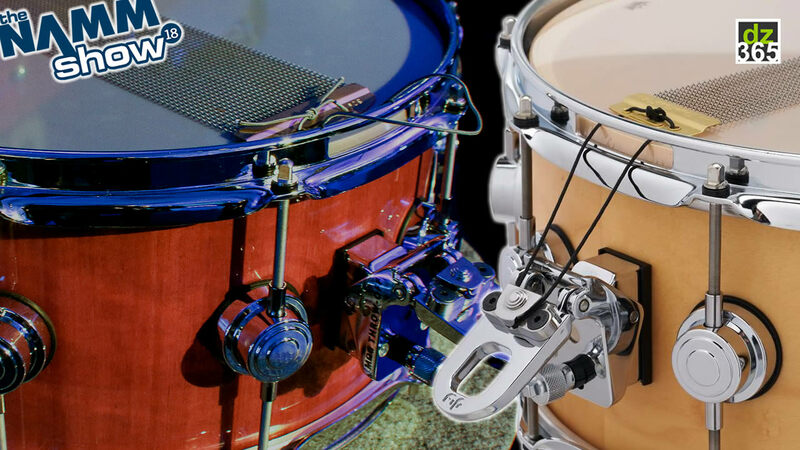 This method promises a more durable alternative to other coatings that doesn't chip or wear out the coating on your drumhead. 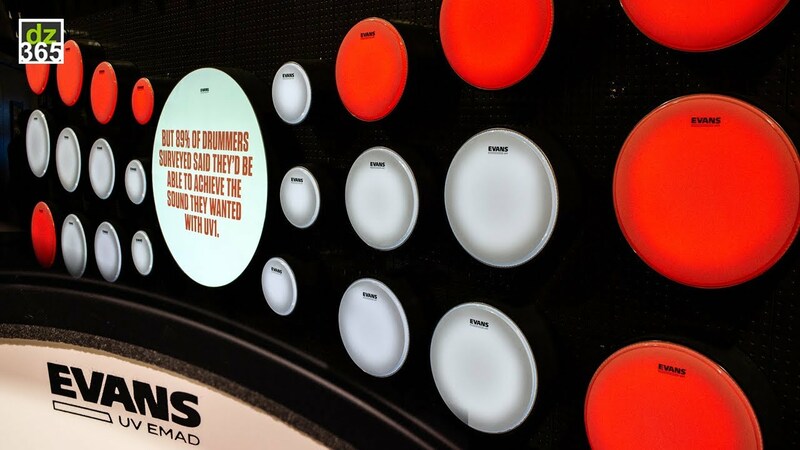 UV1 drumheads are made of a 10mil film that is more resistant to stretching and denting and gives warmer tones than earlier films used by Evans. In 2017 the UV1 heads finished first in DRUM! Magazine's Drummies! poll. 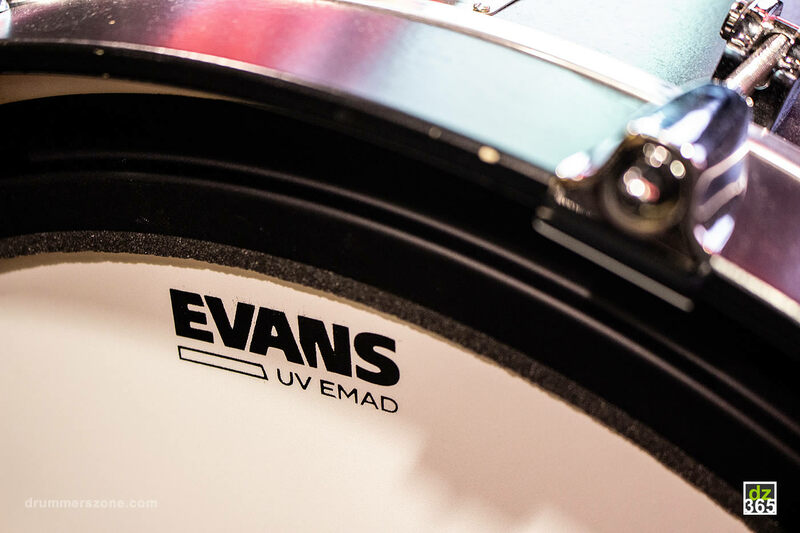 In 2018, the UV technology is also applied to Evans' bass drum heads. 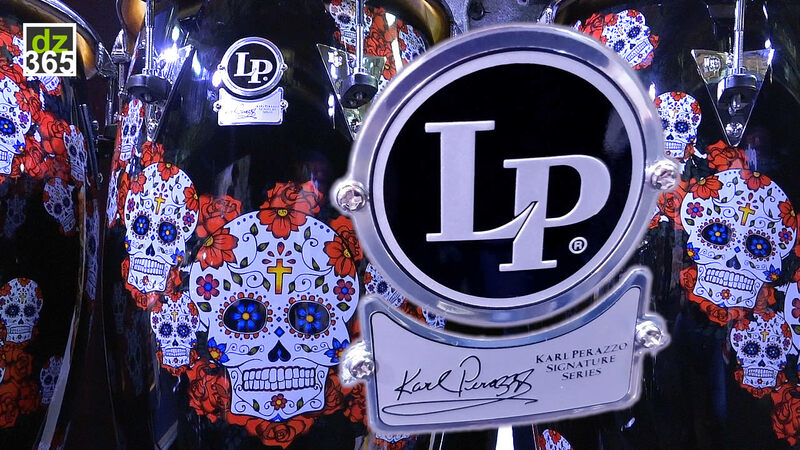 They will be available in sizes from 16" to 26" in tom and bass hoop variants. The new UV EQ4 has a fixed internal overtone control ring that reduces sustain and focuses the tonal response of the drum. The new UV EMAD version has adjustable damping for added attack and focus. 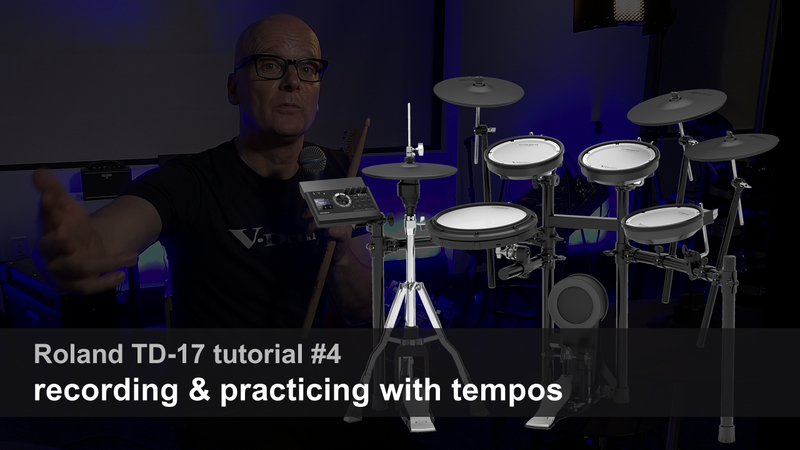 Except for the UV Bass Heads, all the Evans UV-1 drumheads are demoed in the video below. 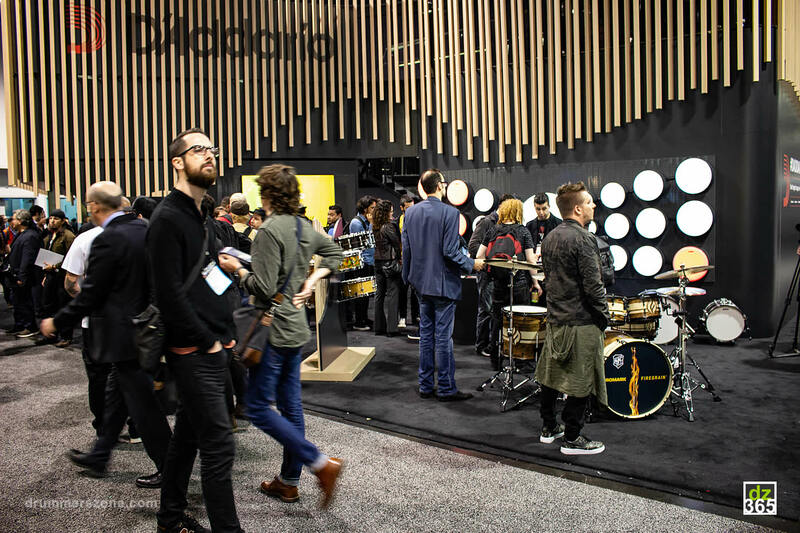 If you've watched our 2017 video from NAMM, you might recognize the footage we editted in. 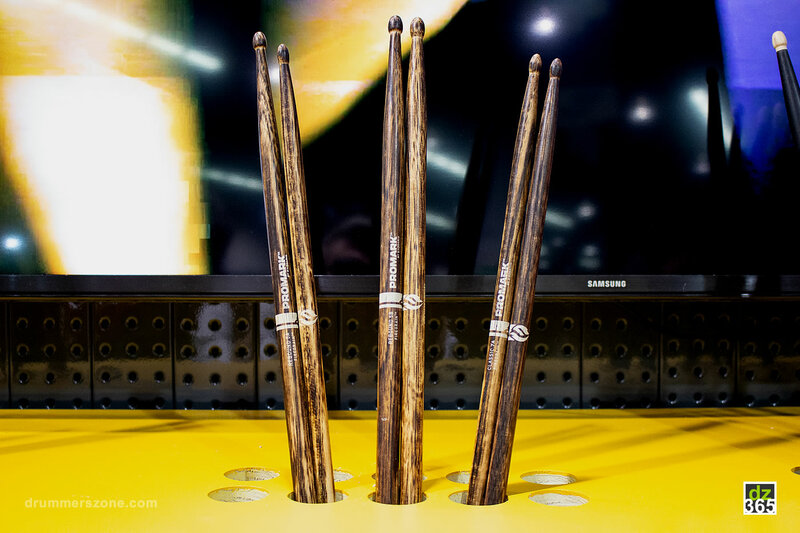 According to Promark, the Firegrain is the most durable hickory drumstick the company has ever made. 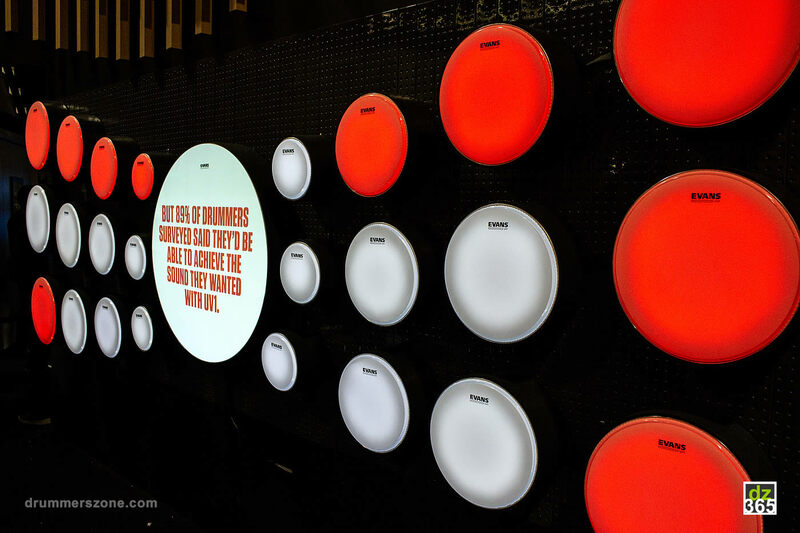 When in 2014 the Promark sawmill in TN burned down, the company was forced to reinvent everything from the ground-up. Renovation and innovation were the keywords to start new and improved production methods. 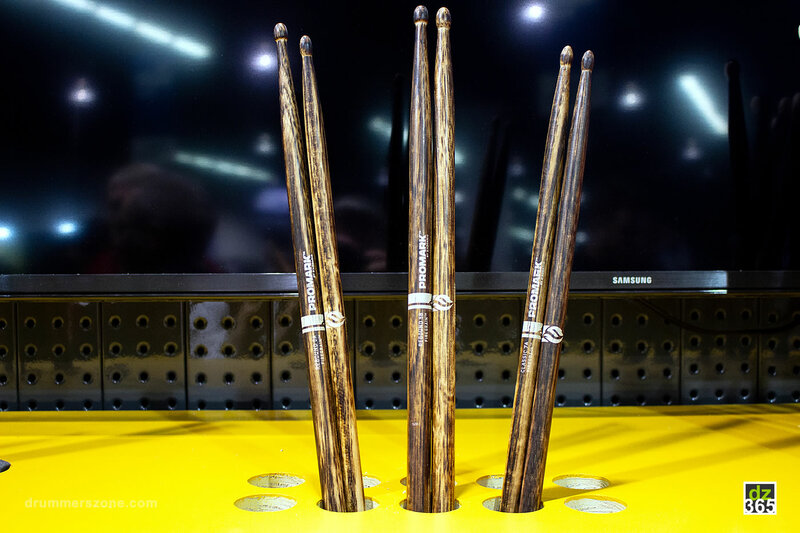 One of the results is Promark's FireGrain drumstick. 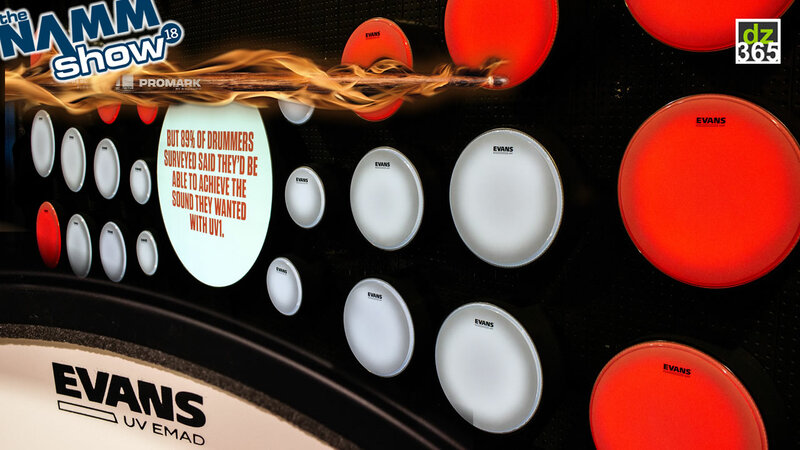 Promark came up with a unique flame-tempering method to make the sticks just that little more steady, stronger and sustainable. 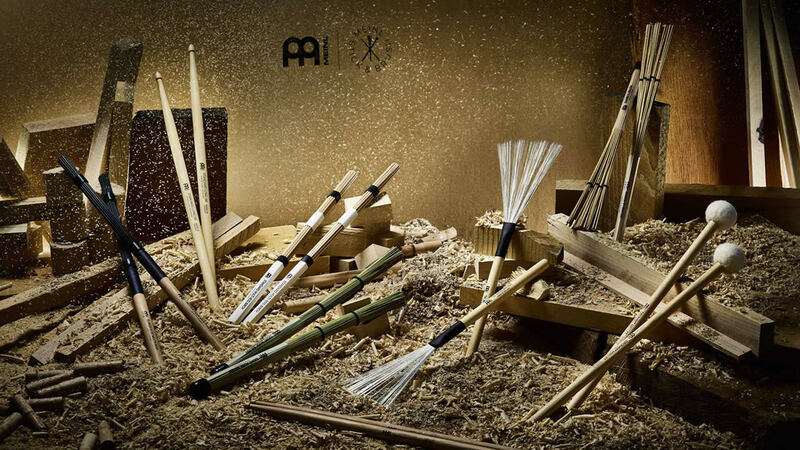 The sticks still have their original weight, balance and attack, but the durability of the sticks has improved. Hence you can play longer and louder! Promark's patented heat activated grip coating is engineered to get tackier as a players hands sweat and their body temperature rises.